Sir (Charles) Vyner de Windt Brooke (1874-1963) was the third and last raja of Sarawak. 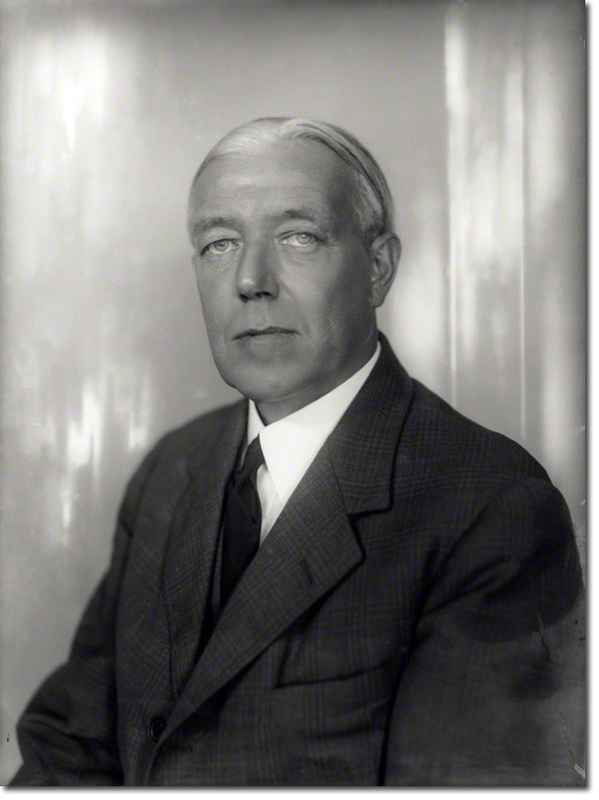 He was born on 26 September 1874 at Albemarle Street, London, the eldest son of Charles Johnson Brooke (1829-1917), second raja of Sarawak, and his wife, Margaret Lili Alice de Windt (d. 1936) of Blunsdon Hall, Highworth, Wiltshire. Educated at Winchester College, he went on to Magdalene College, Cambridge, where his interests in boxing, horse-racing, and fast cars prevailed over his studies. His first visits to Sarawak were in 1876 as a child, in 1888 with his two younger brothers Bertram (1876-1965) and Harry (1879-1926) and their tutor Gerard Fiennes, and in 1893 when he was seventeen. In 1891 he was given the title of raja muda (heir apparent) by his father and six years later went out as a cadet government officer. Serving first at Simanggang in the second division and then at Muka and Oya in the third division, he was appointed resident in late 1903. In May 1900 he took part in an expedition against the Muruts of the Trusan and in June 1902 helped lead the notorious 'cholera expedition' when one-fifth of 10,000 Dayaks recruited to pacify the rebels of the Ul Ai died of the disease. This experience scarred him for life. Contrary to her parents' wishes, on 21 February 1911 at St Peter's Church, Cranborne, Brooke married Sylvia (1885-1971), second daughter of Reginald Baliol Brett, second Viscount Esher, and Eleanor Frances Weston. Contrary to his own father's wishes, he took her and her brother Oliver on a visit to Sarawak the following year. This, together with his knowledge of Vyner's gambling debts, his fear that he would hand Sarawak over to British interests, and Sylvia's failure to produce a son, caused Charles seriously to consider disinheriting Vyner in favour of Bertram. Instead, he issued a proclamation in 1912 which established a supervisory Sarawak government commission in London and recognized Bertram as having almost equal status with Vyner. This caused a serious rift between Vyner and his father. After Charles's death and Vyner's proclamation as raja in May 1917, he and Bertram took it in turn to spend half a year in Sarawak as head of state, Vyner always avoiding the English winter. An unwilling raja, he was nevertheless unprepared to hand over the reins to the able and conscientious Bertram. His interest in government was slight and in the resulting power vacuum effective executive control passed first to his brilliant but unstable protege and adviser, Gerard MacBryan, and then to a group of senior government officers known as the committee of administration. Acute problems brought about by the depression and rubber restriction were left to others to resolve. When the committee's centralizing push caused out-station officers, supported by his nephew Anthony [see below], to rebel against it in April 1939, Vyner appointed him raja muda and left him in charge of the government for six months. Subsequently convinced that high office had gone to Anthony's head, he dismissed him but later reinstated him on Bertram's intervention. Wearying of his role and pressured by the rani and their three daughters, Leonora, Elizabeth, and Valerie, to make a financial settlement and retire to England, Brooke negotiated a secret agreement with the committee of administration in early 1941. This brought him 1 million Sarawak dollars from state funds in return for abandoning most of his prerogative powers and implementing a written constitution. It was duly enacted in September 1941 during the celebration of the centenary of Brooke rule. MacBryan, who was out of favour in the 1930s, had re-emerged in early 1941 to broker the agreement and take charge of the celebrations. Anthony, who had bitterly opposed the constitution as dishonouring Charles's political will, was sent back to England in disgrace. When the Japanese invaded Sarawak by sea on 16 December 1941, Brooke was on holiday in Australia with MacBryan. On hearing the news the raja flew to Batavia with MacBryan hoping to return to the state but was forced by events to seek sanctuary in Australia. The next two years he spent in Melbourne with MacBryan, who had been held briefly as a suspected Japanese agent in Batavia and then Singapore. Initially critical of the British government's failure to defend Sarawak despite its generous contributions to the war effort, Brooke was pressured into silence. In 1943 he managed to return to London via the United States and remained there for the rest of the war. Handing over responsibility for Sarawak affairs again to Anthony and reinstating him as raja muda, he dismissed him once more in October 1945 when negotiations with the Colonial Office over Sarawak's post-war constitutional arrangements broke down. Entering into direct negotiations with the Colonial Office with MacBryan's assistance, Vyner agreed to cede his sovereignty to the crown on condition that he and his family were left 'no worse off' financially. The Colonial Office had misled him into believing that the war had left a task of reconstruction beyond his means. Nor had he any faith in his nephew Anthony as his successor. He visited Sarawak with the rani briefly in April and May 1946 for the Council Negri debate on the cession bill. His announcement of the cession in February had alienated many of his officers and a substantial section of the Malay population whose agitation surprised and horrified him. Despite newspaper reports at the time that Brooke had received 1 million pounds from the British government as a quid pro quo for the cession, he received nothing and had to pay tax on his Sarawak pension. Obliged to live in modest circumstances for the rest of his life while supporting Sylvia, he became something of a hermit. He never returned to Sarawak and saw little of his former officers. Towards the end of his life he became reconciled with Bertram, who, together with Anthony, had been disinherited by the cession in 1946. Vyner Brooke died at his flat at 13 Albion Street, Paddington, London, on 9 May 1963, some months before the proclamation of the Federation of Malaysia of which Sarawak then became part. He had been made KCMG in 1928 but the Attlee government declined to elevate him to a baronetcy in recognition of his co-operation over the cession. Sylvia, who had lived for many years in Barbados, died on 11 November 1971. They had kept up a friendly, teasing correspondence to the end. Vyner's portrait was painted by his friend Margaret Noble and is held at Magdalene College, Cambridge, where there is also a stained glass window in his memory. The portrait shows that he had a cast in one eye, something which heightened the inscrutable impression he made on people. Painfully shy in his official role, his carefree and pleasure-loving way of life was in part a reaction to the regime of his ascetic and forbidding father. Loved rather than held in awe by his people, Brooke spoke fluent Malay and Iban and demonstrated an extraordinary ability to remember names and genealogies. He was cremated and his ashes buried in the churchyard at Sheepstor, Devon alongside his father and great-uncle.